When her twin sister passed away due to brain cancer, one local woman was able to turn a luncheon honoring her sister’s memory into an annual charity event with the help of family and friends. Founders Katrina Levy Zidel (Left) and Becky Sweeney (Right). Turning something tragic into something inspiring and beautiful is no easy task. But that’s exactly what Katrina Levy Zidel did when her twin sister, Christy Levy Peters passed away in 2007 from brain cancer. A couple years later, Zidel held a luncheon with friends and family at her grandmother’s house in German Village to remember her sister. The event acted as an outlet for Peters’ friends and families to deal with their grief in a way that both honored her, and helped others. Zidel says they asked the approximately 75 women that came to the luncheon to bring a pair of gently used shoes to donate to a local charity. 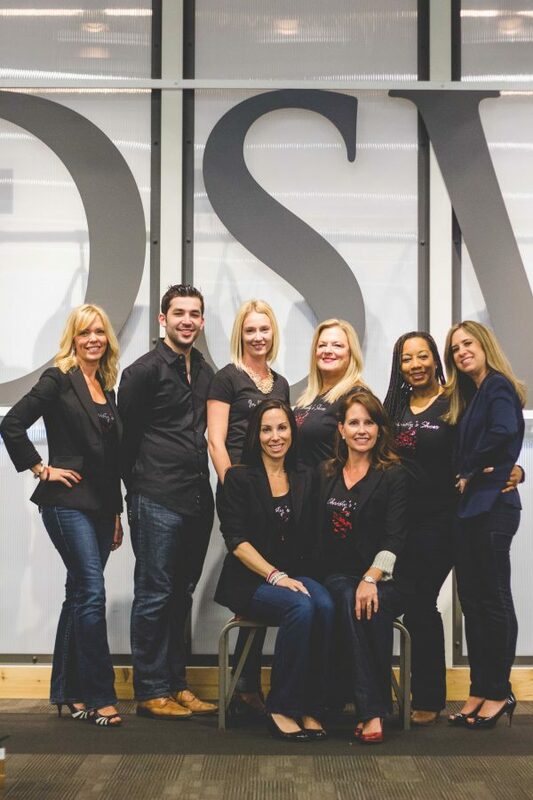 After doing some research on which charity would receive the shoes, Zidel contacted Dress for Success, an organization that helps disadvantaged women by providing professional attire, a support network and career development tools. From that point on, the annual charity event has evolved each year, adding new activities and members to what became “In Christy’s Shoes,” named as such for Peters’ impressive shoe collection. Since the third year on they have held a silent auction, and attendees can bid on shoes signed by celebrities like Kathy Bates. This year the event will be held in the St. Charles Preparatory School on May 8, and of the many exciting sponsors contributing Zidel is particularly excited about the sponsorship with DSW, who she describes as “amazing.” “DSW made a conscious effort from day one to be a partner,” she says. Sincerity and commitment of all those involved with In Christy’s Shoes has rang true since the beginning. 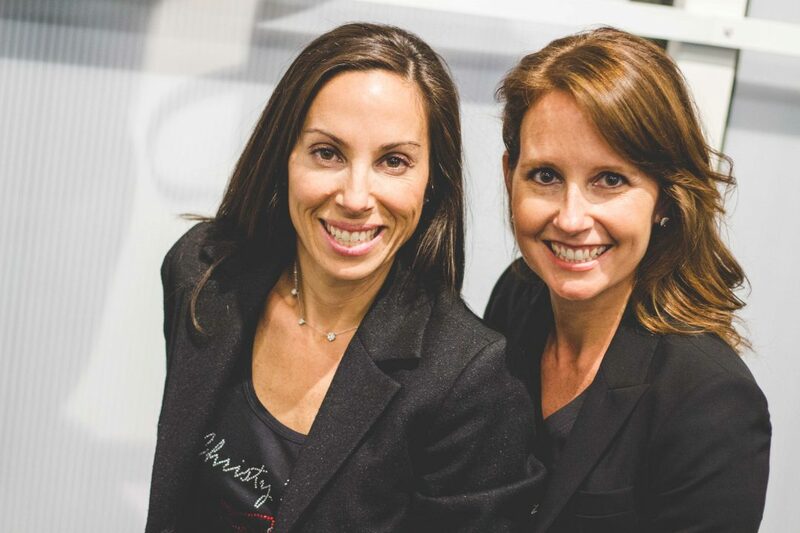 Cofounded by Zidel and Peters’ two best friends, Becky Sweeney and Jacki Barnett, it has allowed those who were close to Peters an opportunity to stay connected with each other. Looking to spread their message, the organization is always open to volunteers. One of those programs includes developing mentoring programs for women. Zidel says she’d like to focus on linking women to women in order to help them through all kinds of life experiences. She also hopes to eventually offer university scholarships, since her sister had plans to return to college one day. All of the money raised goes to two organizations, Dress for Success and Zusman Hospice, where Peters spent the last six months of her life. A long-term goal is to hold In Christy’s Shoes events across the United States, and Washington D.C. marks the beginning of that chapter. They have already held one event in the nation’s capital that raised close to $7,000 dollars. After this year’s event in Columbus they expect to raise over $300,000 dollars since starting the event in 2009. 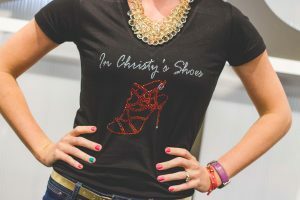 To learn more about In Christy’s Shoes, go to www.inchristysshoes.org.